Whose friendship matters most in the land of dreams? Ferntail the cat and his friends have been summoned to the capital of dreams. Why? No one explained, but it seemed foolish to decline. Perhaps the King of Cats would like to recognize them for their brave and valiant deeds. Or perhaps the King of Cats needs their help. The nearby Kingdom of Mice has been overthrown, and suspicions abound. Who is undermining the land of dreams? Only Ferntail can find out. Nine of the wildest and weirdest cat stories that you have ever come across. 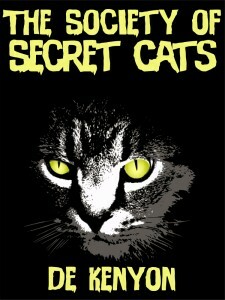 Fantasy, mystery and true-to-life tales of cat wonder. You will laugh, you will cry, and your cat will wonder if it is time to put you down and call you breakfast. All sorts of things make their way into a city. They come, they breed, they adapt. One day, you’re looking at a raccoon breaking into a garbage can. The next day, you’re not sure what you’re looking at, but it has intelligent eyes, lizard scales, and tentacles. Should you get rid of it, or try to tame it? Spray some repellant, set out cheese for a midnight snack, or set the whole city on fire? Can you make friends? And if you can, will it be more trouble than it’s worth? Or will it lead to something glorious? 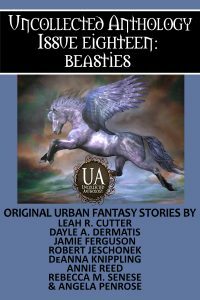 Uncollected Anthology: Beasties features 8 stories of beasties big and small, the ones we can live with—and the ones we can’t! 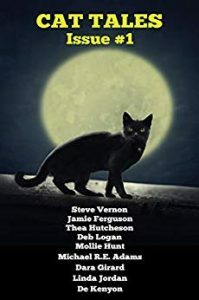 Featuring my story “Wee Beasties”! Something’s going on in the new apartment building. Something small…something blue…something that likes to steal things out of your kitchen trash can. Not a rat, not a mole, not a vole, not a gopher…what? The only way to find out might be to catch it! This is part of a series on how to study fiction, mainly directed at writers who have read all the beginning writing books and are like, “What now?! ?” The rest of the series is here. You may also want to check out the series on pacing, here, which I’m eventually going to fold into this series when it turns into a book. Last week (figuratively speaking) on “The Fall of the House of Usher,” we worked on the first paragraph and why it might be the length that it is. If you haven’t read that one, you should probably check it out. You can find a copy of “The Fall of the House of Usher” here, on Project Gutenberg. So what are the rest of the paragraphs like? This is the entire text of “The Fall of the House of Usher.” I copied it out of Project Gutenberg, cut off the disclaimers and whatnot, and reformatted it a little so the paragraphs had white space between them to make their lengths more obvious. You should be able to click on the image and pull up a larger version. The text goes from left to right on the top row, then to the bottom row. What I hope you can see, at a glance, is that the paragraphs here are long. Also, you can kind of see that there’s only one big section to the story, although there’s a poem in the middle of it. There’s only one even remotely short paragraph, at 52 words long. This is a short story that occurs in one section, more or less, although it may or may not be divided into different scenes connected by transitions. When you go to look at the content, look for what ties this all together. The center of this story is the poem. Literally. The two set-apart quotes, at the beginning and two-thirds of the way through the story, may be more important than they at first appear (they may appear to have been randomly placed, but they’re the only structural elements, along with the poem, to interrupt the lengthy series of paragraphs). What we’re looking for are things that make themselves visually apparent, either because they stand out in and of themselves, or because they form patterns. You might say that Poe wrote in long paragraphs because of the requirements of his day, in which the goal was to pack as many words onto a page as possible. (I have no idea whether this is true, but let’s say it is.) Thus, the lengths of the paragraphs would have no specific meaning, and, if he were writing the same story today, he would have paragraphed it differently. However, as most poets know, the form in which one writes affects the contents of what one writes. A pop song is not an aria; a haiku is not a sonnet. Fiction in which one must pack as much text as possible onto a page is not text in which you’re getting paid by the line. The content will prove to be somewhat different: a tale in which it is encouraged to have long, smooth, almost lulling paragraphs will be more slowly paced than a tale in which short, staccato paragraphs are the norm. A slowly paced story will have different content than a fast-paced one, just as a historical drama like The Remains of the Day will be paced differently, and have different content, than John Wick. So what we’re looking at in Usher is a relatively short piece with long paragraphs and therefore slow pacing. The paragraphs tend to stay in the same pattern of long paragraph followed by long paragraph–giving the piece a hypnotic feel. You’ll often see a writer interrupt long paragraphs by one- or two-line short paragraphs to keep the reader from getting fully lulled. Over fabric half so fair! A wingèd odor went away. The ruler of the realm was seen. The wit and wisdom of their king. Of the old time entombed. And laugh—but smile no more. “And you have not seen it?” he said abruptly, after having stared about him for some moments in silence—“you have not then seen it?—but, stay! you shall.” Thus speaking, and having carefully shaded his lamp, he hurried to one of the casements, and threw it freely open to the storm. Sitôt qu’on le touche il résonne. as soon as it is touched, it resounds. Who slayeth the dragon, the shield he shall win. Next time, I want to talk about the content of the poem and the two quotes (and the story that goes with the second quote), and why they are formatted differently. Poe could have written a story without a poem at its heart, no quotes, and no shorter paragraph. The world is madness. Read the latest at the Wonderland Press-Herald, here! I started a new series – or rather continued a story that I had put up a while ago and turned it into a series for middle-graders (9-12 y.o.). These aren’t picture books or chapter books (like Magic Tree House), but more on the level of Percy Jackson or early Harry Potter books. 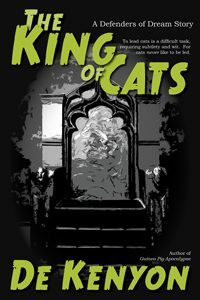 A third story, “The King of Cats,” will be out soon. What if cats were really there to guard your dreams? Handsome, dashing Ferntail the cat must rescue his human charge from a nightmare that invades her dream, with the help of a mysterious and beautiful cat. Ferntail the cat can do nothing about the nightmares the house is giving his family. For that, a dog must be called in. An annoying pug puppy named Nodoji. Only one question: will Ferntail or the house get Nodoji first? When I was growing up, I loved visiting abandoned places. I grew up on a farm in the 1980s. Haunted houses, old trash landfills in gullies, rusting farm equipment, and half-collapsed buildings were a major part of my landscape. My world seemed ancient and nostalgic, as if I lived in an actual post-apocalyptic society that had rebuilt itself to become modern times. I was surrounded by the detritus of the Great Depression era, which devastated the area where I grew up. The aftermath seemed almost magical. But the thing that never connected was that abandoned places had once been not abandoned. I couldn’t conceive of it as a child, not really. Places were only abandoned in the past, which was a foreign country. Not now. Everything that existed now would last forever. Now that I’m older, I can see abandonment in progress. It’s strange; it feels like time and space are being twisted, that something is just plain wrong about such places. Take, for example, a tourist attraction from my youth: the Marine Life Aquarium of Rapid City, South Dakota. It wasn’t big, it wasn’t impressive, but I knew it well. My family would travel to the Black Hills every year for a summer vacation. We must have gone to the aquarium a dozen times. I had friends in college who worked there over their summer vacations. One of my friends got to work directly in the dolphin tanks. He had such a dense physique that he could walk along the bottoms of the tanks with them, without floating. If I remember correctly, he said once that it was as peaceful as being dead. There were trained seals, trained dolphins, all sorts of tanks for fish, murals painted everywhere. Trainers would feed porpoises raw fish from their mouths. I thought it was miraculous. But, when I first drove past the area after it closed, there was nothing in the place where the Marine Life Aquarium used to be. It closed in 1997. I don’t remember what year I first drove past. I don’t actually want to remember. In fact, I make a point not to look, if I’m in the area. And as far as I can tell from Google Maps, there’s still nothing there: just bare ground. Since the aquarium closed, I’ve heard all kinds of creepy stories about how bad it was for the animals. I wouldn’t have believed it at the time, but now I’m not so sure. It’s hard to feel nostalgic, exactly. There’s nothing left to feel nostalgic about. No ruined buildings, no cement pools, no bleachers, no half-standing tents, no rusting metal, no peeling paint. And yet: that place along the side of the road is not a normal place. Someday, someone will build there again, and I will still not go there, no matter how tempting. That place along the road just feels wrong. Part of me wants to go: oh, that’s because it’s haunted. I want to start coming up with stories about how someone died there in an accident, or it’s the tortured souls of the marine mammals who once swam there, or something. That’s usually how a ghost story goes, right? But I can’t find any legends about how the old site is haunted. If there had been anything left for people to go, “There, that’s where the ghosts of the dolphins still swim,” then maybe there would be. But it’s just a bare spot on the ground, so truly abandoned that it doesn’t even have a street number anymore. It’s like the place itself doesn’t even exist, it never existed. It’s not a haunted place so much as one that got erased. It’s a strange thing to have seen a place disappear like that. As a writer, I think, This must happen to everyone, eventually. I’ve known people who have died; I’ve grown apart from other people, knowing that I’ll probably never see them again; I’ve had the strange sensation of still being “friends” with dead people on social media. I’ve seen places where I used to live change slowly, in a succession of snapshots as I drive through, becoming somewhere else. I’ve read stories where people talk about how this or that city seems to have a personality and life of its own; one of my favorites is by Neil Gaiman and Alec Stephens, called “A Tale of Two Cities,” about a man who wanders the streets of his favorite city until he accidentally steps into the city’s dreams, and begins to fear what will happen if the cities awaken. As a farm kid, I’ve never had trouble with the idea that cities are alive and might do something to you that gets you so lost that you never find your way back home again. Of course cities will do that! The first time I went to the Twin Cities I was terrified. (Fortunately, someone else was driving.) Tales about haunted bookshops and antique stores that have exactly what you need but that you can never find again—oh, yes. That is what it feels like, to go to a strange new city. I understand that. But what about this other thing, where an abandoned place just disappears as though it never existed? Does the city remember that place in its dreams? Or do we forget it, because the city itself can’t remember? How long should a modern paragraph be? I mean, the honest answer is, “As long as it needs to be,” but how does that even help, if you’re not at the point where you have a good feel for pacing? I’m going to say that you should be able to fit five medium-length paragraphs on a standard book page. Most book pages will have about 25 lines or so–a reasonable amount before your brain goes, “Hurrrr” and needs a tiny break when you look to the next page. If you check most paperback and most hardcover books, they will have about 25 lines per page. Mostly. I have an edition of “Seven Gothic Tales” by Isak Dineson that I’m trying to read right now, and my print copy has 34 brutal lines per page. I’m thinking about giving up on it and switching to digital. It is sooo hard to read. But, if I were to skim down any normally formatted page with about 25 lines of text, and I saw five paragraphs of about the same size, I wouldn’t think they were long or short, just kind of medium. Physical books are formatted to certain dimensions because they help readers pay attention better. Most physical books are formatted to be about 25 lines per page. Most lines are formatted to have approximately 65-70 characters per line, which works out to about 10 words per line. 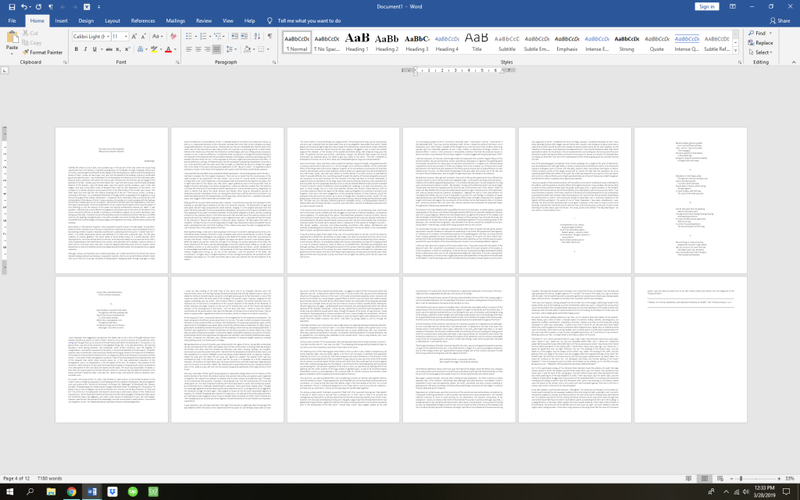 Most pages have about 250 words per page, barring chapter art and such. Standard manuscript format will leave you with about 250 words per page so that a manuscript will have approximately the same page count as a formatted book. All formats of book, from mass market paperback to hardcover, tend to have these same rules of thumb, even though they don’t have to. Your brain needs a brief reset in order to process information. In a print book, those resets occur invisibly: the ends of lines, every point of punctuation, every page turn, every scene break, every chapter break. In a properly formatted print book, that is. It is 100% a benefit if you, as a writer, find out what basic book design looks like. You don’t have to keep it in mind as you write, but once you know it, you can’t not know it. Readers can’t really read as fast as they seem to read. The time they spend reading is packed with little invisible pauses. Honoring that can only help you be a better writer. Wikibooks’ Basic Book Design is a good starting reference on basic book design. I’m not joking. I go back to it all the time. If you are an indie publisher, reading this will make your books, both ebook and print, easier to read (and classier looking) as well. Back to our regularly scheduled post. Five paragraphs per page works out to about five lines of ten words each, or fifty words per paragraph. One paragraph that takes up the whole page would be a very long paragraph, at 250 words. A paragraph that took only one line would be a very short paragraph, at 10 words or fewer. One line: a very short paragraph. 2-3 lines: a short paragraph. 4-6 lines: a medium paragraph. 7-10 lines: a long paragraph. 10+ lines: a very long paragraph. 25+ lines: a wall of text (as in, there are no indents or paragraph breaks in the black marks on the page). Now, I personally would say paragraph lengths should be determined, at heart, by the content of the paragraphs, but again, that doesn’t really help if you don’t have a sense of how to match up form and content yet. One paragraph = one element gets described or one action taken. Now, paragraphing is more complex than that, but that’s the essence. You get to do one thing in that paragraph, and then you have to hit the return key. Yes. Some authors put more than one thing in a paragraph. But mostly, in modern fiction, they don’t unless they’re lying to you about something. One of the best ways to fool a reader is to put something in plain view, but don’t put it as the first or last sentence in a paragraph with more than three sentences. Our brains are like, “Um. This too many things, la la la,” and drifts a bit, because it needs to be reset. The reader’s brain gets reset at the ends of lines. It gets reset at every punctuation mark. That’s still not enough. It needs to be reset at the end of a paragraph, too. So: If you see a long paragraph in modern fiction, you can assume that the author, either deliberately or accidentally, is now lying to the reader or has some other mysterious purpose. They’re letting the reader’s attention span strain a little farther than it should, and hoping that the reader will miss important points among all the other little distractions going on. It’s just like a magic trick, really. DURING the whole of a dull, dark, and soundless day in the autumn of the year, when the clouds hung oppressively low in the heavens, I had been passing alone, on horseback, through a singularly dreary tract of country, and at length found myself, as the shades of the evening drew on, within view of the melancholy House of Usher. I know not how it was—but, with the first glimpse of the building, a sense of insufferable gloom pervaded my spirit. I say insufferable; for the feeling was unrelieved by any of that half-pleasurable, because poetic, sentiment, with which the mind usually receives even the sternest natural images of the desolate or terrible. I looked upon the scene before me—upon the mere house, and the simple landscape features of the domain—upon the bleak walls—upon the vacant eye-like windows—upon a few rank sedges—and upon a few white trunks of decayed trees—with an utter depression of soul which I can compare to no earthly sensation more properly than to the after-dream of the reveller upon opium—the bitter lapse into every-day life—the hideous dropping off of the veil. There was an iciness, a sinking, a sickening of the heart—an unredeemed dreariness of thought which no goading of the imagination could torture into aught of the sublime. What was it—I paused to think—what was it that so unnerved me in the contemplation of the House of Usher? It was a mystery all insoluble; nor could I grapple with the shadowy fancies that crowded upon me as I pondered. I was forced to fall back upon the unsatisfactory conclusion, that while, beyond doubt, there are combinations of very simple natural objects which have the power of thus affecting us, still the analysis of this power lies among considerations beyond our depth. It was possible, I reflected, that a mere different arrangement of the particulars of the scene, of the details of the picture, would be sufficient to modify, or perhaps to annihilate its capacity for sorrowful impression; and, acting upon this idea, I reined my horse to the precipitous brink of a black and lurid tarn that lay in unruffled lustre by the dwelling, and gazed down—but with a shudder even more thrilling than before—upon the remodelled and inverted images of the gray sedge, and the ghastly tree-stems, and the vacant and eye-like windows. 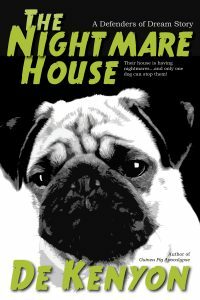 We established last week that Poe misleads the reader by focusing on the details about the house, when really the narrator is really in denial about what he expects to find when he sees his friend again. Ostensibly, this paragraph is a description of how unsettling the House of Usher is. It covers one thing. It describes one thing. The narrator doesn’t really take much of an action here; he arrives and looks at stuff. (He doesn’t, say, engage in a sword fight.) So we’ll ignore the extremely minor action he takes and focus on the house. But tucked in that is the narrator going, “By the way? I’m not actually reliable.” He doth protest a little too much. And please note that the major points of the paragraph–and its major deceptions–are not in the beginning, or at the end, of this massive wall of text. And that’s enough for today, I think. Next time: We’re going to look at other paragraphs. Zowie! No matter where you go, no matter what you do, some cat, somewhere, is always watching you! 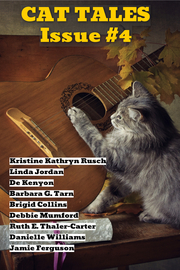 Nine tales of cat magic, suitable for reading in front of clever, adorable, and even irascible cats. I’ve always been interested in folk and fairy tales, as far back as I can remember. I grew up with Grimm’s fairy tales, as a lot of people like me do, and for a long time I thought that was that: Grimm’s was how a fairy tale should be told. Later, of course, I started discovering fairy tales from other countries and saw similar versions of tales from Grimm’s. I read both Edward William Lane’s and Sir Richard Francis Burton’s versions of The Thousand and One Nights, and discovered just how much was getting bowdlerized out of certain books. I read The Uses of Enchantment by Bruno Bettleheim and started thinking about what fairy tales are for. I had even read several versions of fairy-tale collections that gave the “original, uncensored!” versions of classic fairy tales. Then, last year, I read The Turnip Princess and Other Newly Discovered Fairy Tales, recorded by Franz Xaver von Schönwerth, edited by Erica Eichenseer, and translated by Maria Tatar. Tales about adult situations, that is, themes that kids and teen wouldn’t care about, like quality of life in old age and how to die happy. I assumed, because I had grown up reading tales from the Brothers Grimm, that their versions of the tales–even their selection of the tales–constituted a sort of “default.” Other collections of fairy tales, like Andrew Lang’s color-titled fairy books (The Pink Fairy Book, The Blue Fairy Book, etc. ), also tended to aim their fairy tales toward children, often watering down already watered-down versions. Even collections of tales from other countries tend censor themselves. The stories that were not that meaningful for children or young adults tended to be absent, either not recorded or removed. Elements of stories that were deemed “not appropriate” for children were removed. A strong bias toward raising “good” children who valued whatever the anthologists (e.g., the Brothers Grimm) valued was inserted–no more gender-reversal tales where the prince has to be rescued in Brothers Grimm, even though such tales are included in The Turnip Princess. About the same time that I read The Turnip Princess, I also read The Tale of Tales, also known as The Pentamerone, by Giambattista Basile, who collected and amended fairy tales in 17th-Century Italy. This is another collection of folk and fairy tales that was never intended for children (although it claims to be entertainment for children!). Lots of sleeping around, gossip, spitting (if you have a serious issue with being grossed out by spitting, you may want to skip reading this, seriously), and backstabbery. These aren’t tales for children in the sense that most of them don’t address the issues of children or young adults, either. The stories tend toward topics of getting ahead in life, when it’s okay to trick someone in business, and what sleeping around on your spouse is going to get you (generally, murdered). I’m sure there’s still bias in there; after last year’s adventures in more adult fairy tales, I kind of just assume that all fairy tales are told with several levels of bias. But previously, I had no idea. I just thought the Brothers Grimm approach to editing and selecting tales was the right, correct, default one. My suspicion is that it’s difficult to question an assumption that you already have on every level. But this one hit me particularly hard. I was supposed to be “good” at fairy tales, although (I would say with false modesty), I was no expert. Maybe that’s just it, though: until you’ve had your assumptions shaken to the core, until the very idea of becoming an expert at a thing becomes, at some secret, internal level, somewhat laughable, you’re not going to progress beyond a beginner’s ignorance. No matter how many books you read. Cinderella’s not so innocent, but neither is Prince Charming. 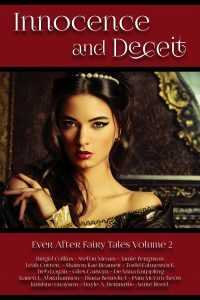 Innocence and Deceit, the second volume in the Ever After Fairy Tales anthology series, contains fourteen fairy tales retold, reimagined, and reinvented. Enter the magical, unpredictable, wonderful world of fairy tales! Contains my short story, “Dr. Rudolfo Meets his Match,” an Aschenputtle retelling (quite close to Cinderella!). The editor, Jamie Ferguson, said that she got a lot of Cinderella retellings for this volume and decided to just go with it. We writers, being much like cats, did not go in the same direction. How much is your fiction worth?